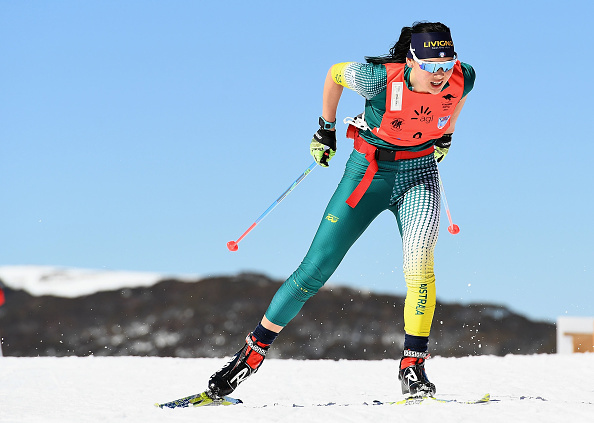 Retrans from Australian Olympic Committee: BIATHLON: Biathlete and PyeongChang 2018 hopeful Jill Colebourn has refused to let the flu hold her back from kicking off her Olympic qualification season in Sjusjoen over the weekend. Despite a nasty cold forcing the 22-year-old to pull out of the first 7.5km Sprint in wet and cold conditions on Friday, Colebourn perked up for Saturday’s Sprint to finish 93rd (1+2) in Norway; 6:05.6 off the pace. “I’m happy with what I was able to do in my first race of the season despite being sick in the week leading up to it,” Colebourn said. “I found the skiing particularly difficult – it felt like my body was fighting against me as I was still recovering and my body wasn’t prepared to race. Germany’s Denise Herrmann took out Saturday’s Sprint in a time of 20:43.9, followed by Sochi Olympian Katharina Innerhofer (+4.0) from Austria, and Norway’s Thekla Brun-Lie (+9.8) rounded out the podium in third.22-year-old Colebourn then teamed up with fellow Australian Jeremy Flanagan on Sunday for the Single Mixed Relay Event. “This weekend was my first single mixed relay, the format is very different to any other race I’ve done but it was a lot of fun,” Colebourn said. 23 countries lined up under clear skies for the mixed relay, with the first 11 teams finishing the course, while teams 12-23 were forced to end their competitions after being lapped. Colebourn and Flanagan finished in 21st place, with Colebourn shooting 0+3 and 0+1 and Flanagan 0+3, for a total of 0+7, before being required to pull out. “It was a challenging race because with a mass start it’s easy to get caught up with all the other girls around you and ski faster than you’re able, then try to shoot faster than usual too and end up loosing focus and missing targets,” she said. However Colebourn didn’t let the pressure get to her and the three-time national champion only used three spare rounds in her prone shooting and one in her standing shooting, which meant she did not have to complete any penalty loops. “I’m happy with how I was able to manage all this and focus on my work in this environment. Colebourn will join fellow PyeongChang hopeful Darcie Morton at the Lenzerheide IBU Cup December 7-10.